Volvo's S60 launch was the star of the night at the inaugural C&IT Excellence Awards, with agency Line Up picking up three awards for the work including the Grand Prix. Line Up also fought off stiff competition to scoop the Automotive Event of the Year, and the Product Launch of the Year awards for the Volvo dealer launch event. DRP Group also picked up three awards – Retail Event of the Year for a Sainsbury’s conference, and the Business & Finance Event of the Year and Sustainable Event Solution awards for a Lloyds Banking Group event. Other winners on the night included Adding Value, which won Incentive Programme of the Year for Vodafone Premier Club, and Grass Roots, which picked up Domestic Conference of the Year for a Danone event. 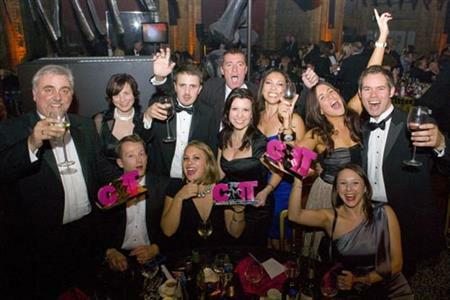 The winners and runners up partied with the 480-strong audience at the C&IT Awards, hosted by comedian Seann Walsh at The Natural History Museum. Corporate Rewards for Microsoft - Do you want PKC with that?